The truth is definitely out there. Russell Crowe, the Oscar award-wining actor, has uploaded a 23 second clip showing what he claims to be a UFO, but what has since been identified as the mast of a boat. 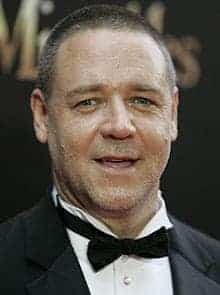 RUSSELL Crowe made headlines after sighting a “UFO” while filming fruit bats in Sydney’s Botanical Gardens. “A friend and I set camera to capture fruit bats rising from Botanic Gardens, this was a big surprise.” Crowe tweeted on Wednesday. The footage, captured from the balcony of his office in Woolloomooloo 3 years ago, opens with a disclaimer declaring that the following images ‘are real’ and questions whether it is a UFO. Most of his followers were not convinced, however some people were more encouraging in their responses. However, despite the good intentions of a few, it has since been confirmed by experts in video and photography that Crowe’s pictures are actually of a boat cruising past Woolloomooloo’s finger wharf, with a red light on top of its mast. A timed exposure was used, so the mast light appears to fly across the screen like a UFO while the mast and mainstay become heavily blurred. One YouTube user has prepared a short video explaining in detail this effect.